Thailand is often the first stop for tourists in Asia. 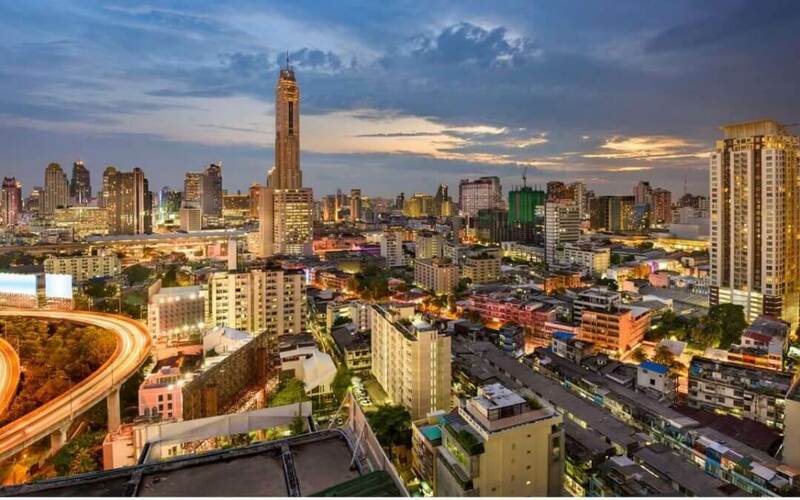 Its capital of Bangkok is the world’s most visited country with more than 21 million arrivals last year. As such, many people getting their first glimpse of emerging Asia wonder how to invest in Thailand. We don’t think Thailand is Asia’s best place to invest. Despite that, some people enjoy the country’s lifestyle. They want assets in the country for both personal and financial reasons. Perhaps they want a second home more than an investment. There’s something to be said for investing and/or buying property in a country which is enjoyable and familiar to you. Even if it’s not the best place to make returns. Most foreigners invest in Thailand though one of two ways: either buying property or stocks, although there are less traditional assets too. None of these methods require living in the country, but there’s several important things to keep in mind. Condos in Thailand can be legally owned by foreigners with the title in their own name. But there are a few restrictions and rules which must be followed. First, no more than 49% of the floor space in a single condo project can be owned by foreigners. This is rarely an issue in practice. Almost every development is well below this threshold. Second, and most importantly, the money used to buy the property must be foreign currency transferred into Thailand from abroad. The exchange of foreign currency into Thai baht must be done in Thailand, by a Thai bank. Make sure to check the wire transfer form very carefully when sending money into Thailand. If your sending bank does the currency exchange itself (which it often does by default), the result will be an expensive delay. A more detailed guide to buying property in Thailand can be found here. It’s fully comprehensive and covers everything from tax implications to location analysis. To buy stocks in Thailand, you obviously need a brokerage account. All of the country’s large banks offer savings accounts, brokerage accounts, and usually even a selection of mutual funds. Bangkok Bank, Siam Commercial Bank, Krungthai Bank, and Kasikorn Bank are Thailand’s big four. It’s easy for almost anyone to open a bank account in Thailand, provided you visit the right branch. But it’s difficult (if not impossible) to open a brokerage account if you’re on a tourist visa. This might not include you. If you’re living in Thailand on a long-term visa, just go over to the head office of any large bank and they’ll set you up. It could be slightly more difficult if you’re an American. Otherwise, your only option is to open a brokerage account outside Thailand which can trade on the Thai stock exchange. Several banks in Singapore can do this, as well as BOOM Securities in Hong Kong. The latter is able to open an account remotely. Is it a Good Idea to Invest in Thailand? There’s a few good reasons to invest in Thailand. Its currency, the Thai Baht, is one of the best in Southeast Asia. It’s far superior to the Vietnamese Dong and Indonesian Rupiah, for example. Over the past few years, the baht has been more stable than even the Japanese Yen and Singapore Dollar. But GDP growth is weak. Many countries in Western Europe are even growing faster than Thailand right now. It’s difficult to call something an “emerging market” when it’s only growing by 3% per year. Some neighborhoods and cities have dangerous levels of supply too. Pattaya’s real estate market is imploding because of too much supply and weak demand. Meanwhile, one bedroom condo units have flooded the market in several suburbs of Bangkok. Don’t get me wrong: there’s still some deals to find. But you’re better off buying property in faster growing countries such as Cambodia, or even Malaysia, if your primary goals are investment and returns.